Bean Bag made of cotton with printed A-Z.A set of 26 alphabet letters bean bag filled with plastic pellets.Vowels are printed in black colour.A perfect set for learning.Comes in a carry bag. 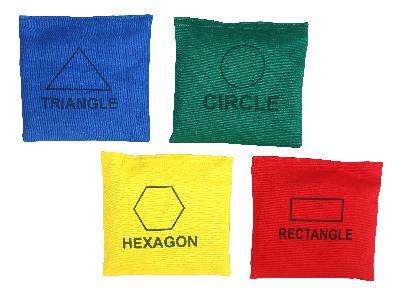 Bean Bag made of cotton.Set of four bean bags includes one different shapes-triangle,circle,hexagon and rectangle.Each bean bag is boldly printed with the name of the shape.A perfect set for learning. 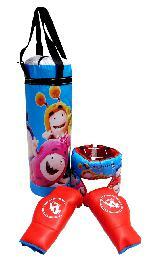 KX-BBSS4 Set of 4 pcs. 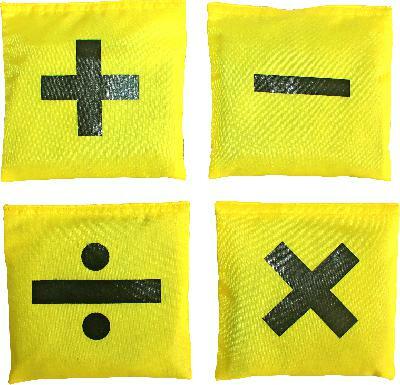 Bean Bag made of cotton.Set of six bean bags with symbols printing.A perfect set for learning. 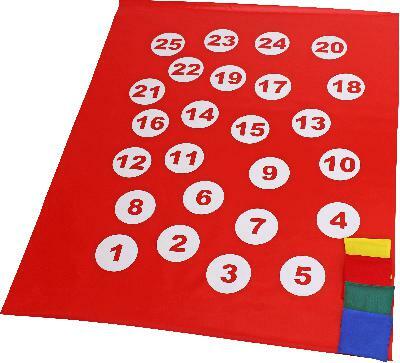 Bean Bag made of cotton with 1-10 and corresponding dots printed according to the numbers.Set of 10 bean bags filled with plastic pellets 100 gms each.Available in four different colours.A perfect set for learning. 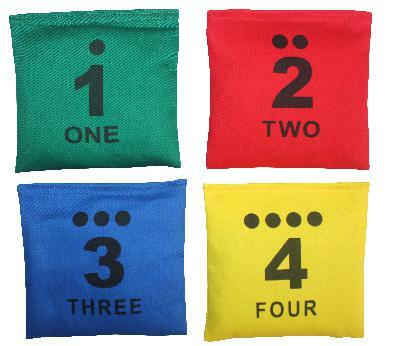 Bean Bag made of cotton with 1-10 and corresponding dots printed according to the numbers. 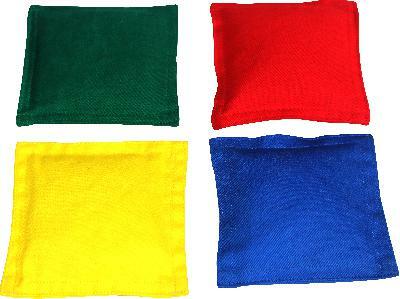 Set of 10 bean bags filled with plastic pellets 100 gms each. Available in four different colours. A perfect set for learning. 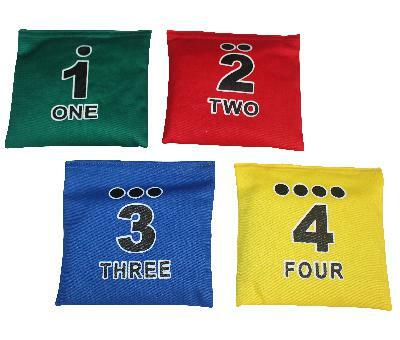 Bean Bag made of cotton with 1-10 and corresponding dots printed according to the numbers interlocked from all sides.Set of 10 bean bags filled with plastic pellets 100 gms each.Available in four different colours.A perfect set for learning. 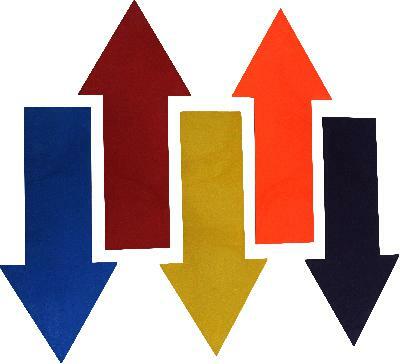 Bean Bag made of cotton with corresponding colour name printed according to the beanbag.Set of 4 bean bags filled with plastic pellets. 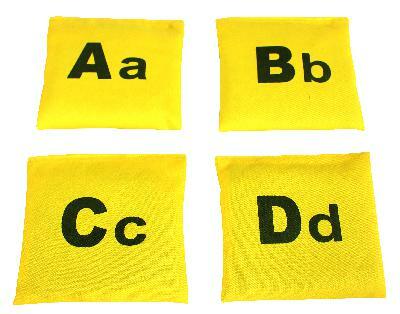 Available in four different colours.A perfect set for learning. KX-BBCS10 13 x 13 cm Set of 4 Pc. 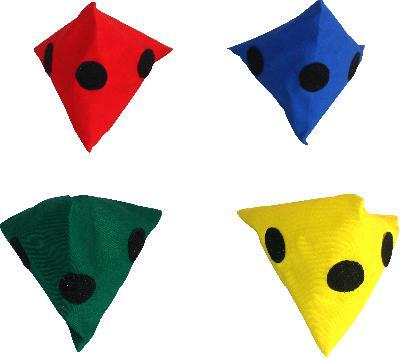 A pyramid shaped beanbag made of drill cotton filled with plastic pellets.Each flat face features a velcro spot making them ideal for velcro target games. A pyramid shaped beanbag made of drill cotton filled with plastic pellets. 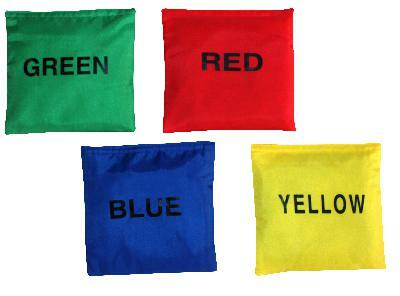 Bean Bag made of cotton with set of 4 bean bags filled with plastic pellets.Available different colours and sizes. A perfect set for learning. 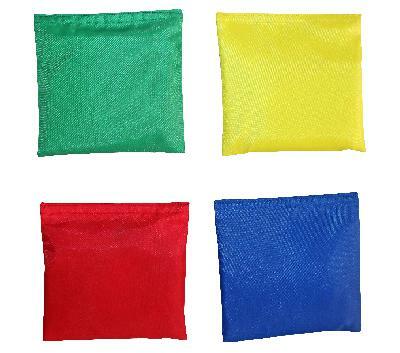 PU Bean Bag made of soft leatherite 5'' filled with plastic pellets.A perfect for tossing and catching activities.Each set includes 1 of each color: Blue,Green,Red and yellow. Bean Bags made of cotton cloth with picture of fruits with their names printed on it for a perfect way of learning filled with plastic pellets. Double side printing. Size 12 x 12 cms, Weight : 100 gms. KX- BBCVEGS4 5'' x 5'' Set of 4 pcs. 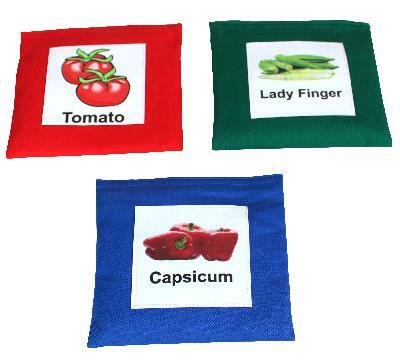 Bean Bags made of cotton cloth with picture of Vegetable with their names printed on it for a perfect way of learning filled with plastic pellets.Size 12 x 12 cms, Weight : 100 gms. 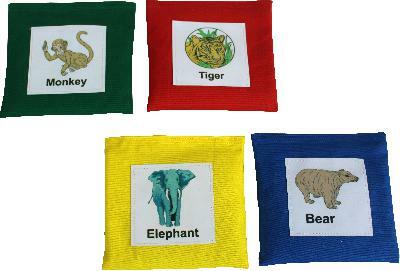 Bean Bags made of cotton cloth with picture of animals with their names printed on it for a perfect way of learning filled with plastic pellets. Size 12 x 12 cms, Weight : 100 gms. KX- BBCANIS4 5'' x 5'' Set of 4 pcs . 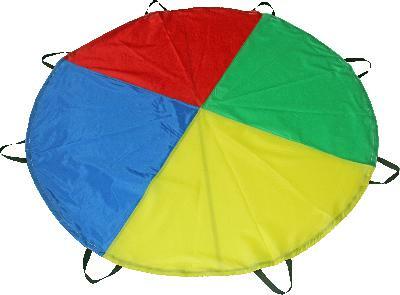 Bean Bags made of thick cotton cloth plain for a perfect way of playing filled with plastic pellets. Available with different Sizes and color, Weight : 100 gms. 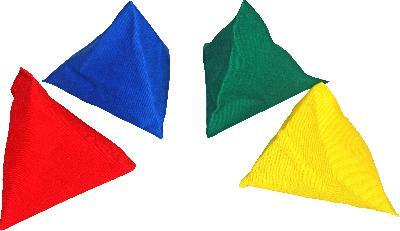 Bean Bags made of polyester plain for a perfect way of playing filled with plastic pellets. Available with different Sizes and color, Weight : 100 gms. KX- BBPCS4 5'' x 5'' Set of 4 pc s.